Indian Railways provides an experience like never before, as Tejas Express caters to travel business-class. 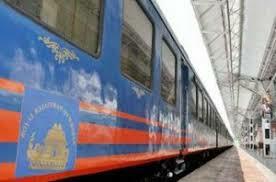 The ‘Make in India’ initiative, the luxury train in India is similar to business-class of an airline. 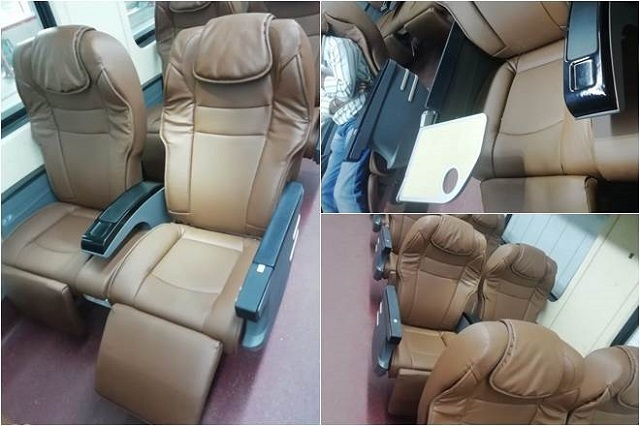 The lavish executive coaches of Tejas Express have awed its passengers. In fact, it is the first time Indian Railways have allotted so many airline –like features in its air-conditioned coaches. Improved with business-class facilities at the Integral Coach Factory (ICF) Chennai, it is an upgraded version of the 2017 Tejas Express train that was launched between Mumbai and Goa. The new and improved luxury train takes after aircraft-like business travel with comforts to a whole new level. The upgraded Tejas Express has executive chair car coach with bucket-like comfortable seats in 2+2 configuration. 56 passengers can comfortably travel in one coach. While there are 23 passenger coaches. Seats are available in beige-colors which is further covered with a leather-like material. Comfortable headrest and footrest are added to the comfortable seats. Headrests also have a hidden snack table, which can be easily taken out according to the needs of the passengers. Also passengers can enjoy a personalized LCD screen, at the back of every seat. Entertainment options includes play music, watch movies etc. Additionally, the coaches have airline-like amenities such as the USB charging point, personalized reading lights, and attendant call button. Although the seats are not equipped with full reclining facility, it is similar in comfort level of business-class of an aircraft. Automatic sliding doors, modular bio-vacuum toilets, CCTV cameras inside the coach area and the entrances, along with swanky pantry equipment. Also, bathrooms in the train coach will maintain cleanliness as they have anti-graffiti vinyl wrapping. In addition, mirror in the bathroom will be integrated with a ‘Make in India’ touch-enabled light. The new Indian luxury train, Tejas Express rake has been allotted to Southern Railways and will run between Chennai Egmore and Madurai. If the track permits, the LHB model will go as high as speed of 160 kmph.